Very popular file hosting service Dropbox which offers cloud storage & file synchronization have fallen victim to cyber criminals again. In the middle of last month a large numbers of Dropbox users have reported receiving spam mails to their e-mail address. The online file storage service confirmed that hackers accessed usernames and passwords from third party sites and then used them to get into Dropbox users' accounts. Dropbox has acknowledged that a file containing private customer data was stolen from the Dropbox account of one of the company's employees and that the information was subsequently used to send out spam messages to users. 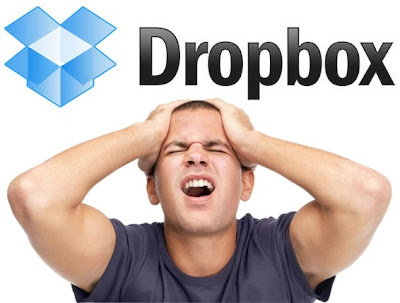 According to the official blog of Dropbox:- "Our investigation found that usernames and passwords recently stolen from other websites were used to sign in to a small number of Dropbox accounts. We’ve contacted these users and have helped them protect their accounts. A stolen password was also used to access an employee Dropbox account containing a project document with user email addresses. We believe this improper access is what led to the spam. We’re sorry about this, and have put additional controls in place to help make sure it doesn’t happen again..."
Android Forums, Nvidia and Gaimgo) who recently fallen victim to the cyber criminals. As countermeasure the cloud storage provider has created a new section on the Account Security page that allows users to see what web browsers are currently logged into their account, and has implemented new automated mechanisms to identify suspicious activity. Dropbox says that it also plans to offer a two-factor authentication option in a few weeks' time. The company didn't say how exactly this option will be implemented, but that users could, for example, receive an SMS text message with a temporary code that must be entered together with the password each time they log in. From the above seenerio we can predict that the said security measure will be exactly like the "2-Step Verification" of Google Account.